Note: Angela and Susanne were interviewed by SCBWI France Regional Advisor Tioka Tokedira about the upcoming Europolitan Conference. This is the fourth in a series of six articles. 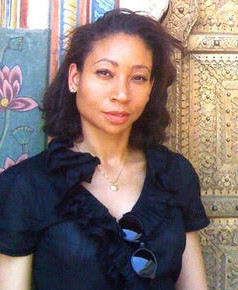 Angela Cerrito is an author and a playwright whose work explores issues of identity and cultural perceptions. Her latest novel, The Safest Lie (Holiday House, 2015), was named a Best Children’s Book of the Year by The Guardian, a Sydney Taylor Notable Book and a Notable Social Studies Book for Young People. 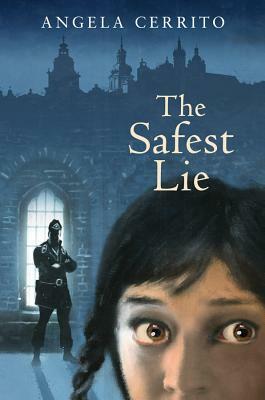 Prior to publication, The Safest Lie was awarded the Kimberly Colen Memorial Grant from SCBWI which supported interviews and historical research in Warsaw Poland. 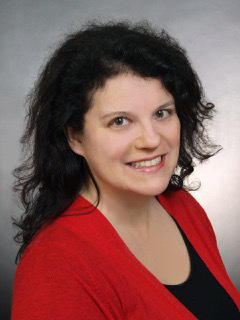 She volunteers as the Assistant International Advisor for SCBWI. 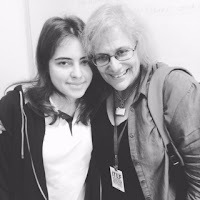 In addition to writing, Angela is always eager to speak to students about writing, research and the child rescues from the Warsaw ghetto. 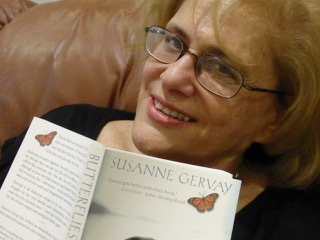 Awarded an Order of Australia, Susanne Gervay is recognized for her writing on social justice. An award winning short story writer, she is widely published in literary journals and anthologies including the Indian-Australian, Fear Factor, Terror Incognito (PanMacmillan, 2009) alongside Sir Salman Rushdie and Thomas Keneally. Her books are translated into many languages and include her young adult Butterflies (Kane/Miller Book Publishers, 2011) recognized as Outstanding Youth Literature on Disability and rite-of-passage anti-bullying I Am Jack books (Kane/Miller Book Publishers) which have been adapted into a play touring Australia and the United States. Susanne’s picture books address disability, inclusion, multiculturalism, while Elephants Have Wings (illustrated by Anna Pignataro, Ford Street Publishing, 2014) engages with peace, in development as an animation. Susanne’s books are endorsed by Room to Read, Cancer Council, Alannah & Madeline Foundation, Variety, Children’s Hospital Westmead, Life Education and many organizations. An acclaimed international speaker, Susanne is Regional Advisor SCBWI Australia East & New Zealand, Writer Ambassador for Room to Read and Books in Home, patron Monkey Baa Theatre, former Chair of NSW Writers Centre, Australia Day Ambassador. Susanne, can you describe your dream partnership? Susanne: My dream partnership is a mature, professional relationship with my publisher. Ideally it is a relationship where we work together not only on the crafting of the novel, but the promotions and marketing. Barriers to that relationship at the beginning of your career, are the imbalance. The publisher holds the power over your manuscript, from acceptance of the work, editorial direction, delivery, marketing and sales. As a consequence, it made me voiceless and the relationship was one sided. There was also a disconnection in the process of what you can do. Will the publisher approve? Will they work with you? You also do not understand the drivers in the publishing house. 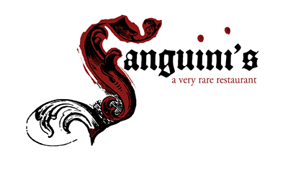 The Publishing house may decide to cut their list, or increase their list. They may decide to submit you to festivals to speak or not. They may decide to promote your book or not. It is like working in the dark and falling into holes that are a mighty struggle to climb out of. So why do you value this relationship? When I began working with my publisher, I knew nothing. With my first book, I was unimportant in the scale of author status. I did not realise that authors were allocated positions of priority depending on brand, potential sales and awards. My relationship changed over the years, with new books being accepted, higher profile and putting in a great deal of work in supporting my books. My publisher became my voice in the publishing house, participating in the development of story ideas, and the direction of my career. The way this has changed for me is when I received a professional critique at an SCBWI conference and I realized that the editor didn’t understand my story. At a very basic level she didn’t get it. And it was my fault. My POV was weak and the writing was really weak. Responsibility hit me like a ton of bricks. Because, if a reader can’t understand my story, there is only one person responsible in that equation. It was a powerful lesson for me. It is my responsibility to write in such a way that the reader, any reader, will understand. What is the most surprising thing that you’ve learned from one of your partners? Angela: This was really interesting for me. I remember hearing Susan Jeffers talk at an SCBWI conference. She said that one of her best mentors actually got into her art. Well, I had a similar and very valuable surprise at yet another SCBWI critique session. This time it was with Stephen Roxborough. He showed me the pages and said simply. “Don’t do this. Don’t write like this.” And struck a line through many, many, many, many of my words in that sample. I know myself and I tend to overwrite. So the strikethrough wasn’t such a surprise, but his word choices were. This was an individualized lesson in tightening prose. Reading it again –anew—without the extra words was very powerful for me. It’s a lesson I try to re-live every time I revise. Susanne: The most surprising thing I have learnt is that even the most successful creator, is torn by doubts. The support of partners and community becomes more important than publication at times. Can you tell us about one of those moments of doubt? Susanne: I always thought writing would become easier, but it doesn’t. I finish a chapter and think that I can’t write another one. But in the end, I do. I am writing a new children’s novel called ‘Louie at the Hughie’ at this moment. I have written 20,000 words and have stopped. There is another 10,000 words that I must write to complete the journey, but I am torn by doubt. The novel is so important to me, as it is set in The Hughenden Hotel, my Sydney family hotel and Centennial Parklands across the road. My children grew up in the hotel and for 25 years it has been integral to my life. The hotel has just been sold and as I go through the seven stages of grief, I have been unable to write. I am now reaching acceptance and I will write again. Regain my belief in my work. Life always melds with writing. At times, it inspires me to race ahead. At other times, it makes me reflect. At other times, it makes me doubt that I can write. What kind of partner are you to other writers, and why? Angela: This question has really brought to light how many people I am a partner to with my writing. For books this includes my agent, my editor and publisher as well as readers. For plays this extends to the directors, actors and production crew who dedicate so much time and talent to bring a play to the stage, as well as the audience. I feel the best partner I can be as a writer is honest and responsive. I’m always learning. I’m also a partner in SCBWI, of course. As the Assistant International Advisor, I hope to be a valuable resource to SCBWI members worldwide. For years the focus was bringing awareness about international chapters, publishers, awards and opportunities to members of the U.S. and answering questions from members outside the U.S. about the US market. Now this is more of a two-way conversation thanks SCBWI’s new initiatives such as translators (Avery Udagawa SCBWI’s Translator Coordinator), Spanish Language efforts expanding from the Spain and Mexico chapters to the U.S. (LaCometa SCBWI’s Spanish Language Bulletin put out by Judy Goldman, RA Mexico and Melana Alzu, SCBWI’s Spanish Language Coordinator) and members all over the world eager to participate in the Bologna Illustrator’s Gallery and SCBWI Bologna’s Digital Catalogue. Susanne: As a partner in SCBWI, I am committed to the children’s book community. It is integral to my creative life and is one of the important strands in my days. I support many authors and illustrators and help them in their careers. It has brought me great pleasure to see new writers and illustrators reach publication and more. As a partner with the publishing industry in Australia, I support initiatives such as Public and Educational Lending Rights where authors are paid each year by the government for books in libraries. I meet industry bodies such as the Australian Society of Authors to gain benefits for SCBWI members. I work with publishers to shares their knowledge with the SCBWI community here. It has connected me with extraordinary creators and the publishing industry and I love it. As a partner with my publisher(s), it is about friendship, sharing of knowledge, development of my own creative work. I meet for dinner, coffee, socially and professionally. How has SCBWI been a valued partner to you? Angela: How much time do you have? SCBWI has been my education in writing for children, in writing really. I’m very fortunate to have found SCBWI early on when I was searching for writing opportunities and learning the market. Susanne: SCBWI is extraordinary. As a novice writer, I was three years in the wilderness. I had no idea about how to enter this career. It was painful and filled with rejection and dead ends. Angela: It’s pretty amazing how much you learn from SCBWI. When you start reading the Bulletin, going to conferences and meeting mentors. They key is that they combine craft based education with professional information and submission opportunities. There’s so much to learn! 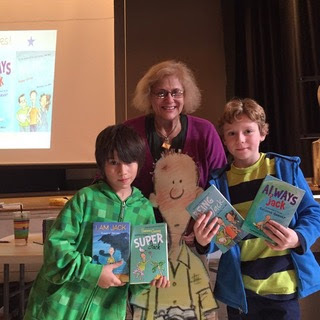 Susanne: SCBWI is truly the light. It gives information, friendship, support, guidance and more. It is like a safe place to enter the changeable world of publication. I love my SCBWI community and the talented, funny, amazing authors and illustrators who partner me in my creative life. Susanne and Angela, thank you for sharing your thoughts on partnerships with us today. Tioka Tokedira has been the SCBWI France Regional Advisor since 2007 and was one of the organizers for the first Europolitan Conference. Tioka loves helping others tell their stories. 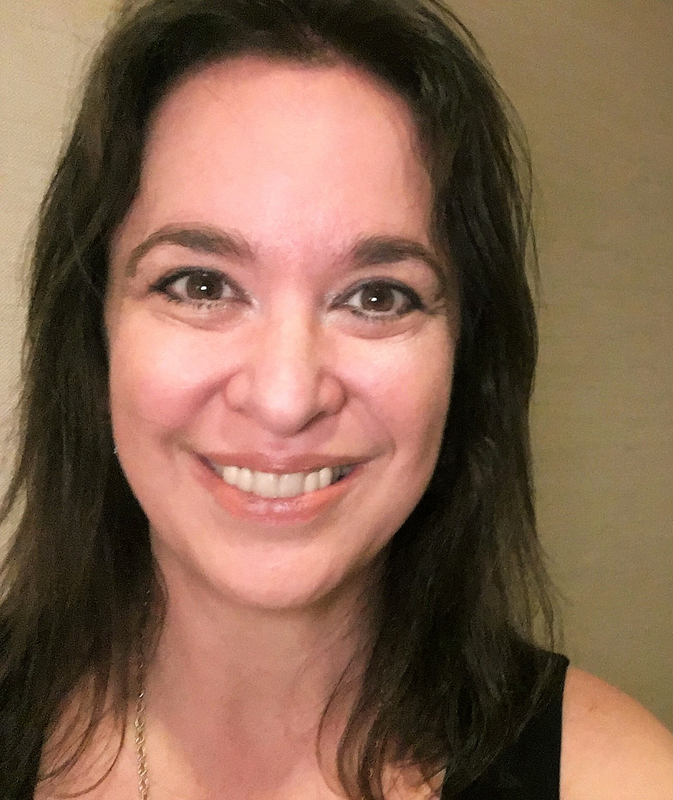 She's worked as a teacher, writing festival coordinator, literacy consultant for international governments, and documentary television producer. She currently reviews books for Hachette Livre.